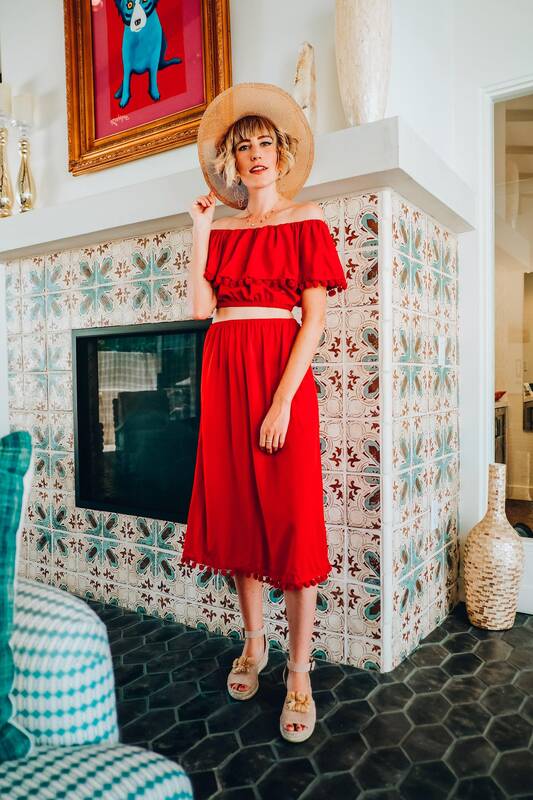 This ensemble will make you want to take salsa dancing lessons and travel to Spain to meet a handsome Spanish man and salsa the night away with him. Red fabric. Red pom-pom trim. Elastic waist band. cute, flowy, bright, delightfully ostentatious, and on time.